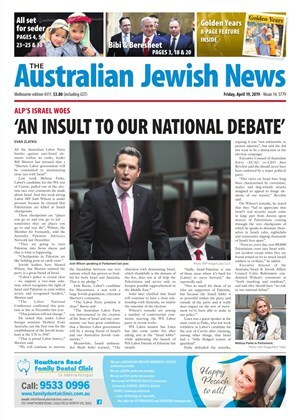 THE Benjamin Netanyahu-brokered merger of Israel's Jewish Home party with the far-right Jewish Power has been met with unanimous concern from Australia's peak Jewish groups. 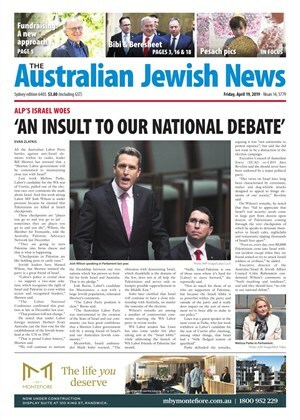 THE Morrison government "will not turn a blind eye to an antisemitic agenda masquerading as defence of human rights in the UN", Prime Minister Scott Morrison said this week. THE Executive Council of Australian Jewry (ECAJ) has labelled Israeli Prime Minister Benjamin Netanyahu's United Nations General Assembly speech "compelling", identifying Bibi's revelation of a secret atomic warehouse in Tehran a "key moment".